​Do you have a website? 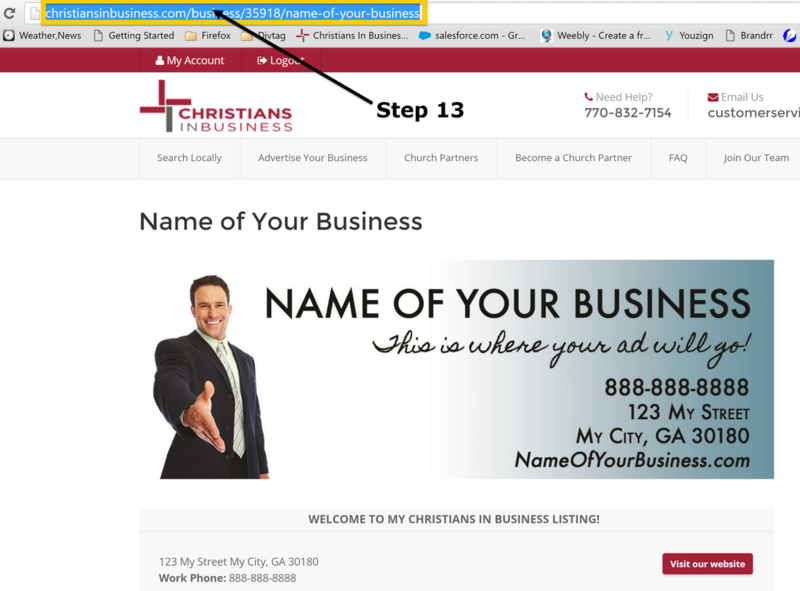 If you don't, you can use your Christians in Business Listing as your Website. Think about this. You may eventually want or need a website but you do not have to wait or spend money for a website when you can use your Christians in Business Listing until you are ready. 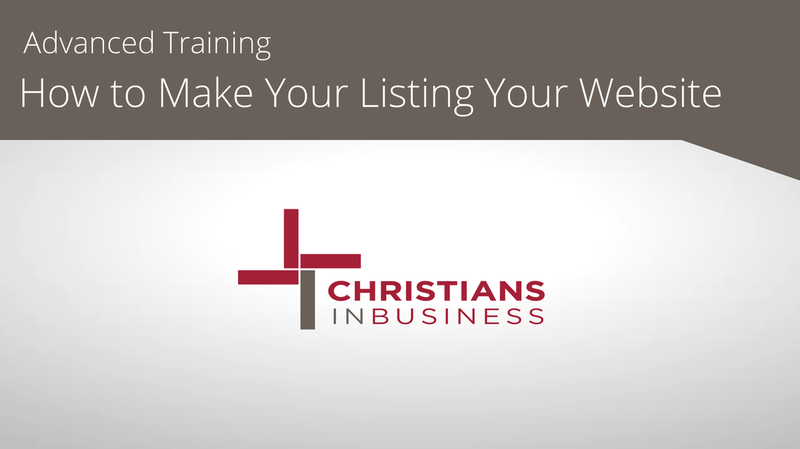 Christians in Business has designed your listing to include many elements that are in most websites. Therefore, you might say that your Listing is already a Mini Website. The best part of purchasing a domain and forwarding it to your listing is that you are Branding Your Business with your New Domain Name. 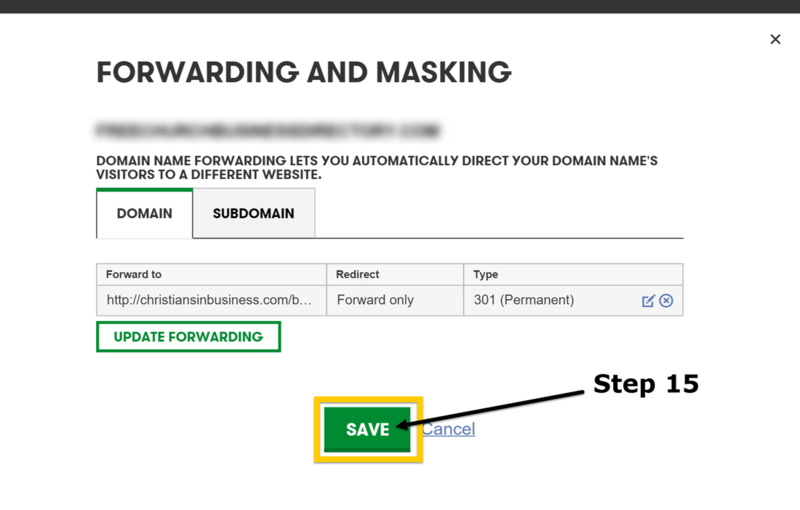 Now you can put your domain on your Business Cards so Prospects and Customers will be able to find your Listing. Let us show you how! 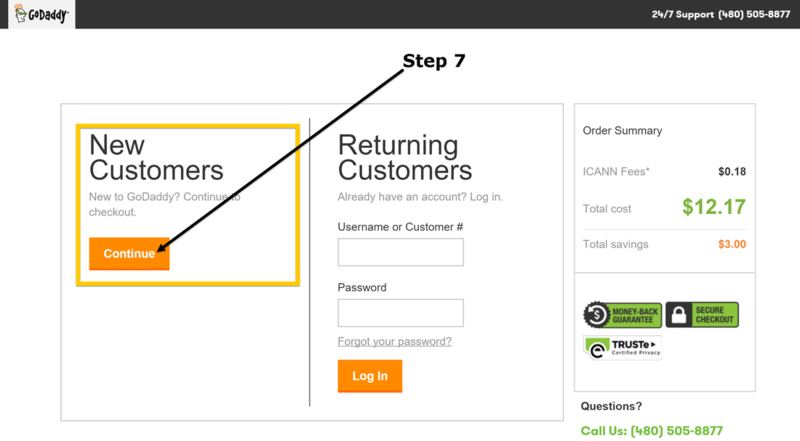 Step 1 - Find a Domain for your Business. We Recommend Go Daddy to purchase your domain since it is simple and easy to forward your domain as we will show you in this training. You can search for a domain extension that you like. An extension is .com, .net, .info. etc. You may need to search several times if the domain that you want is not available. For example, you may find that the .com domain that you want is not available but the .info is. Be patient and find the one that is the perfect one for you. Sometimes Go Daddy will give you some suggestions if yours is not available. They will offer you a discount on additional domains if you buy several. However, we do not recommend that unless you do not want anyone else to have a domain like yours with a different extension. Remember, you are buying your domain to build a website with. You are only going to use the domain to brand your business and have the domain forwarded to your listing. 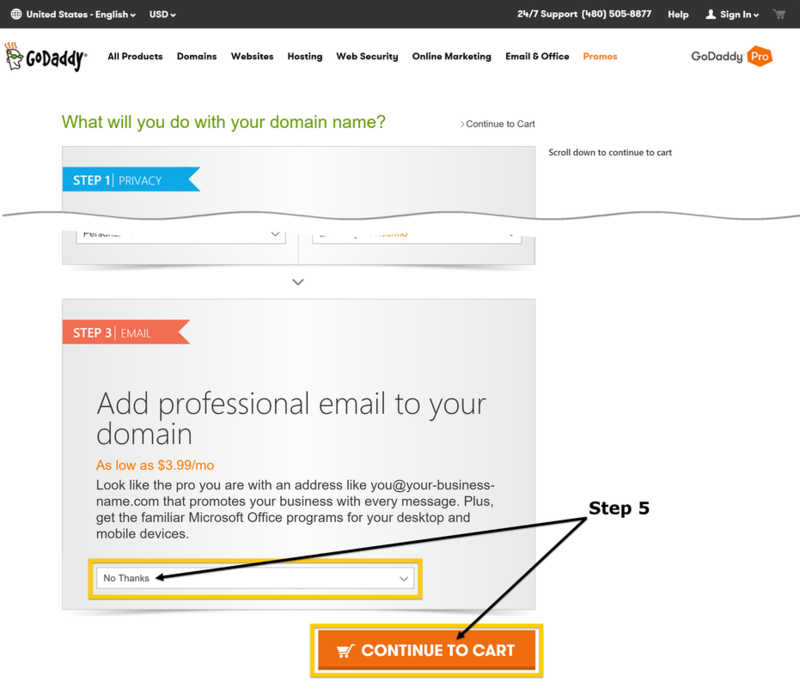 Step 3 - If Your Domain is Available and you want it then Click on "Select"
Step 4 - To Purchase Your Domain Click on "Continue to Cart"
Step 5 - Click on "Continue to Cart"
Go Daddy will try to sell you additional services. 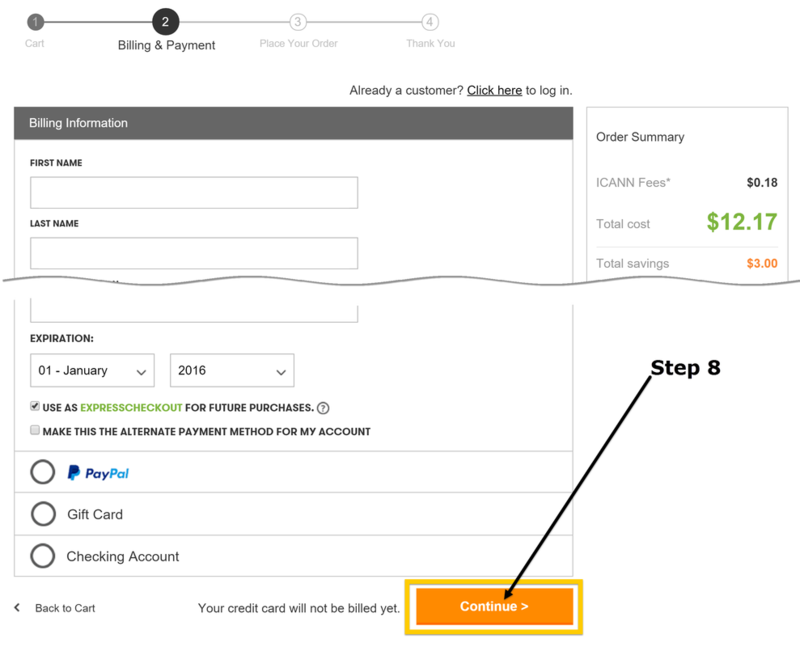 Unless you want to take advantage of the additional services that they are offering you, we recommend that you always choose "No Thanks" on the drop down menu and then click "Continue to Cart". 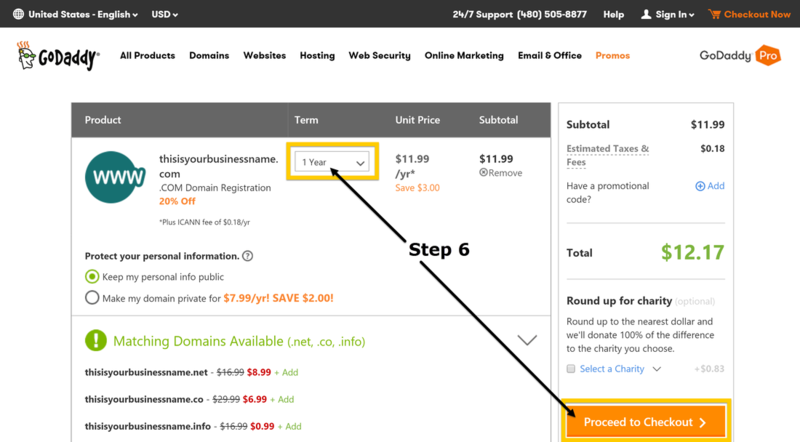 Step 6 - Choose "1 Year" on the Drop Down Menu then Click on "Proceed to Checkout"
You can choose to purchase your domain name for multiple years. However, you must note that the initial price you will pay for your domain will be more. You can purchase your domain from 1 to 5 years. 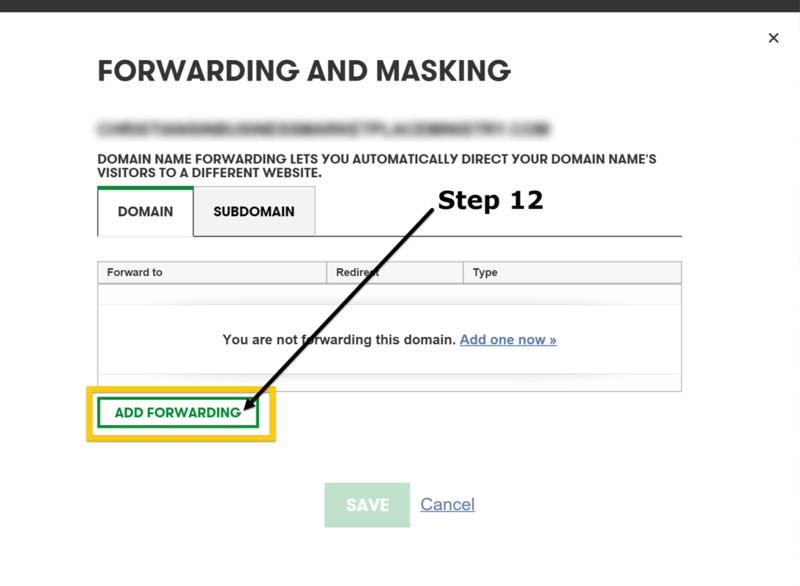 Step 8 - Enter Your Account Information for Purchase then "Continue"
Step 11 - Tick the Checkbox next to your Domain then Click on "Forward"
Step 12 - Click on "Add Forwarding"
Step 14 - Go Back to Your Go Daddy Account and Paste the URL in "Forward To" and make sure all is Correct then Click on "Edit"
Step 15 - Check Everything. If is Correct then Click "Save"
Congratulations, Your Listing is Now Your Website!!! 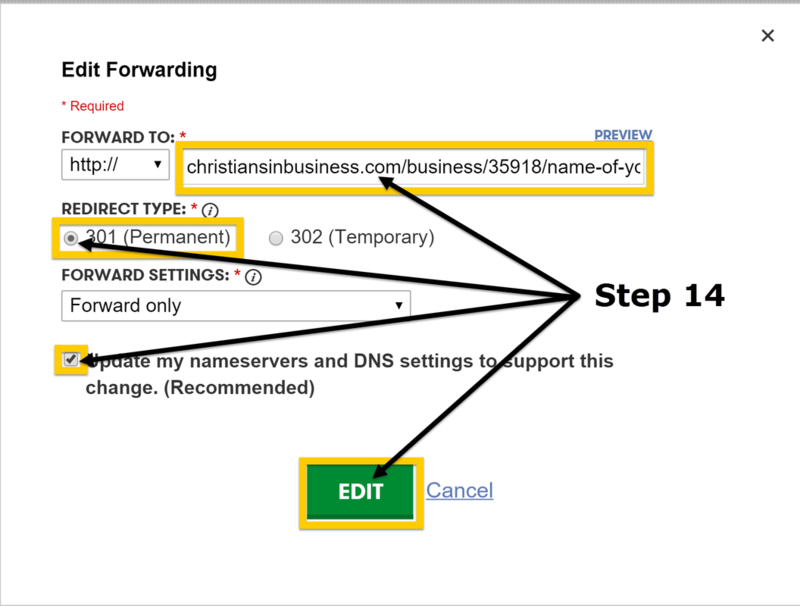 Once your domain is propagated you can enter your new domain name in the address bar of your browser and it will take you to your Christians in Business Listing.